Naturally incredibly striking, Tasmania - an island state off the south coast of Australia and with a population of only half a million people - often gets forgotten on many an Australian itinerary. I'm here to tell you why it should be on EVERY itinerary! Myself and my husband visited Tasmania as part of a holiday we took to Australia whilst living in New Zealand, during Australia's winter. When we first started researching places to visit in Australia Tasmania quickly came out as a firm favourite. The idea of seeing lots of wildlife in the wild was one of its most appealing aspects. We had also read it was quite a bit like New Zealand - in that it was very scenic and it would be less crowded and quieter than some other parts of Australia we had visited. Despite being fairly remote, Tasmania is still wonderfully accessible and we took an internal flight with Jetstar from Tullamarine airport in Melbourne to Tasmania's capital, Hobart. So why do you HAVE to visit Tasmania? 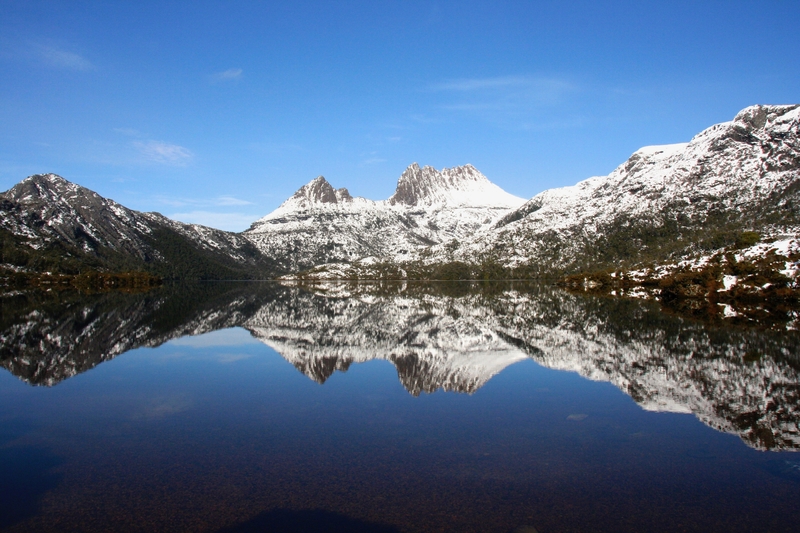 Tasmania is stunningly beautiful, there is no doubt about it. You can hire a car, jump on board and explore this beautiful country to your heart's desire. The roads are quiet and the drive is worth it for the scenery alone. There are many national parks in Tasmania and we were only able to visit a few during our time there. Cradle Mountain-Lake St Clair National park was our favourite - walking around Dove Lake in the snow was a real travel highlight - surrounded by amazing panoramic views of the lake and mountains. Freycinet National Park is another stunning place - with the Hazards mountains appearing in front of you as you approach this area, and the iconic Wineglass Bay view awaits. Tasmania is one of the best places in Australia (and indeed the world) to see animals roaming in the wild in their natural habitats. 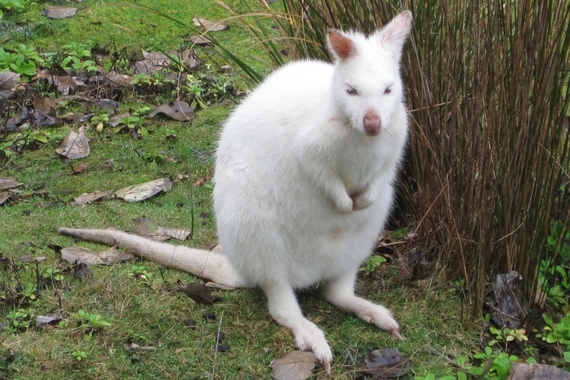 We were lucky enough to spot wombats playing in the snow in Cradle Mountain National park, have pademelons visit our log cabin accommodation, watch kangaroos hop across in front of our car, and see wallabies (including the rare albino wallaby) just a few feet in front of us! Other animals that can also be found in the wild include: little blue penguins, tasmanian devils, quolls, and dolphins can also be spotted in the surrounding waters. 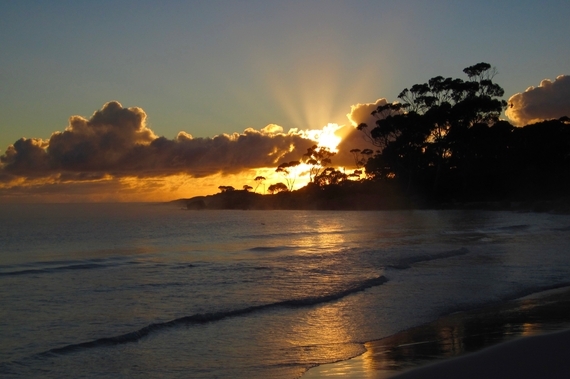 Sunsets and sunrises are notoriously beautiful in Tasmania. Binalong Bay on the east coast of Tasmania was one of favourites places to see the sun set and rise - we reached the beach early enough to see how amazing the sun looked as it was peaking through the trees and the sun's rays stretched right up into the sky - it was simply beautiful! 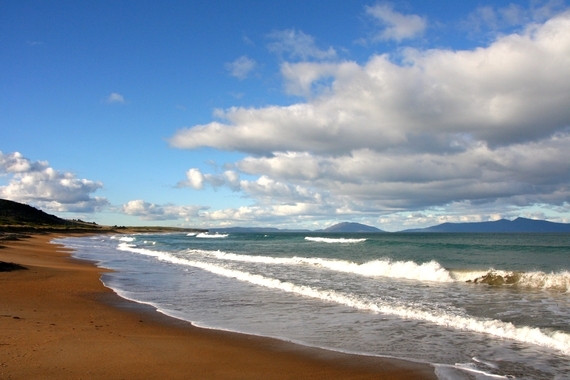 Many of the beaches in Tasmania are completely deserted but so easy to access. We visited many that were just accessible from the side of the road and that were very beautiful - Kelvedon beach, Bushy beach (with its beautifully red rocks) and Denison beaches were some of our favourites. 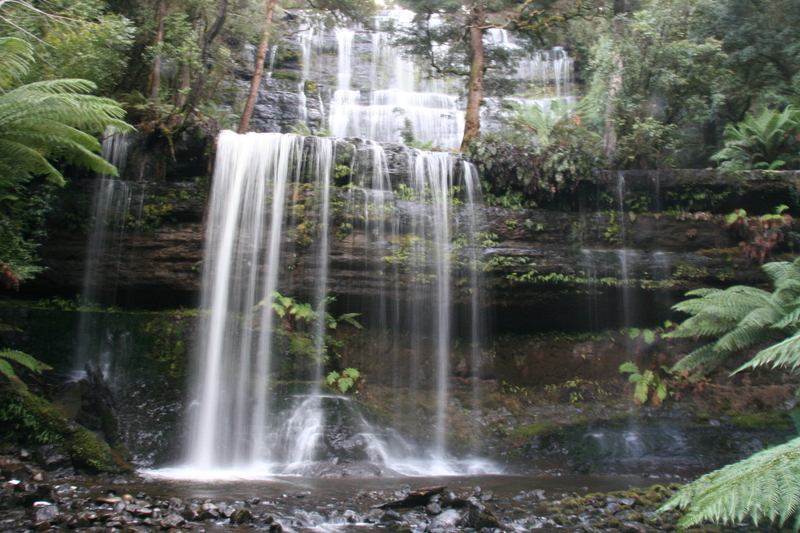 Many waterfalls in Tasmania can be found off-the-beaten-track and are well-worth the effort. Our favourite was Russell Falls, at nearly 1,000 feet tall, it was fairly easy to reach along a 20 minute walk through the rainforest, and a beautiful sight. 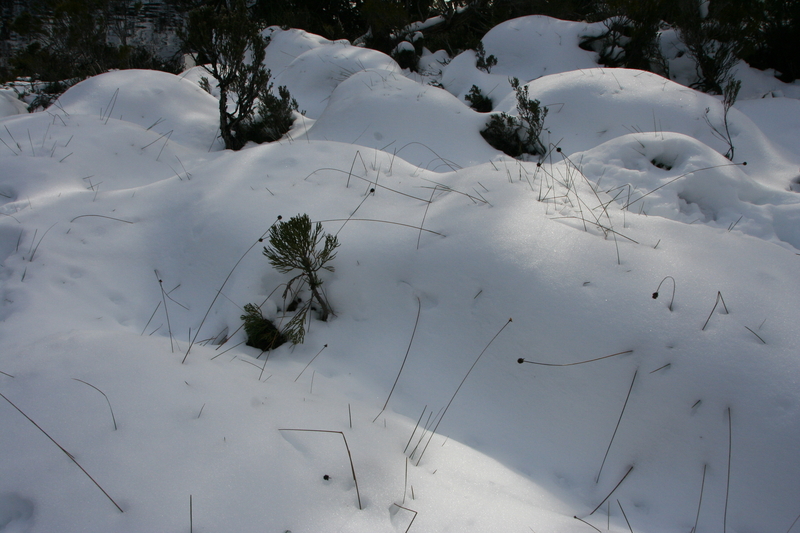 I am sure many of you reading this already know that yes it does snow in Australia in winter, but I am sure there are some of you that didn't know this! We came across snow, and lots of it, whilst visiting the Cradle Mountain area. We enjoyed a wonderful stay in a log cabin complete with lovely wood burning fire. It made a nice change from Sydney's mild 22 degree winter we experienced! 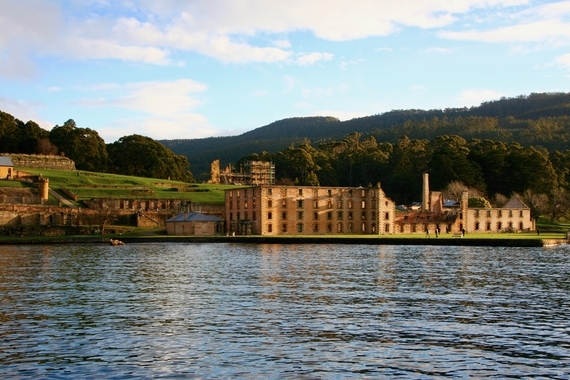 The Port Arthur Historic Site is a real highlight of a trip to Tasmania. It is the site of a past convict settlement back in the 19th century - where mainly British and Irish convicts were sent and spent time in jail here. A truly fascinating place - and obviously quite haunting and thought-provoking too, as there was so much sadness here in the past. The way they have preserved the site is excellent and there is so much to see and learn about. There are over 30 different buildings to explore - including the penitentiary, the hospital, the church, the asylum, governor's house, and the guard tower, among lots of others. Our ticket also included a boat trip out towards the Isle of the Dead, with great views of Port Arthur as we returned to shore. East Coast Natureworld is one of the best wildlife parks we have ever been to - and a reason in itself to visit Tasmania. Even though wildlife can be spotted in the wild in Tassie, this is an amazing huge 150 acre wildlife park where so much freedom is given to the animals and they are so well cared for, it is a must-visit on any trip to Tasmania. 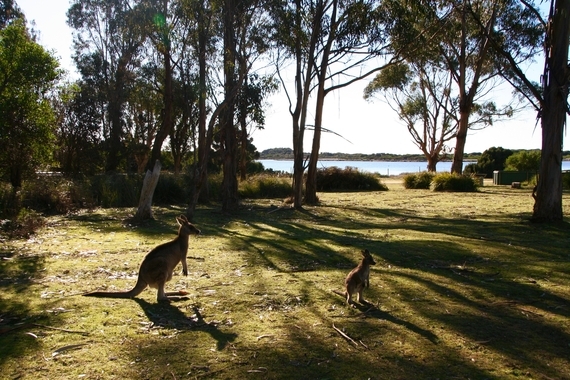 The kangaroos, pademelons and wallabies all roam freely here and make sure you also see the famous Tasmanian devils being fed. There are, of course, so many more reasons to visit this amazing country, but you will just have to visit and experience them for yourselves! Having lived in New Zealand for a year and enjoyed travelling elsewhere in the world including America and Europe, Tassie was really just extra-special to us - it has that uniqueness that can't quite be explained until you have visited yourself - and our Tasmanian adventure will remain with us forever. All photographs are copyright of Nicola Barnard Photography. Nicola works as an independent personal travel counsellor and has vast experience in the travel industry. Nicola specialises in planning and booking tailor-made trips to suit your every need and has specialist experience in bespoke off-the-beaten-track New Zealand and Australian itineraries. Nicola has her own Travel Counsellors web page and Facebook page, as well as her own successful travel blog.